We all know the feeling; First day back on the slopes and everyone seems to be coasting further than you, they're gripping the icy sections with ease, and you realise you're going to have to skip cake at the chalet while you go and find a workshop to service your kit before tomorrow. Luckily all of this can be avoided by getting your gear serviced before you go! 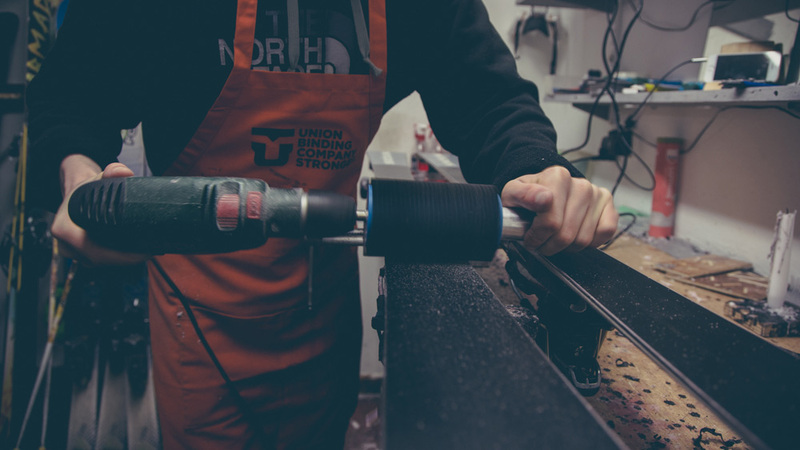 Our technicians are on hand all year to make sure your base is smooth and fast and they can repair everything from a lifting top sheet to full on core shots and rail damage! It all starts out with a clean. The technician will get rid of all the old wax and bits to reveal the condition of the base. After an inspection they will then decide the level of base grind needed to give the base the appropriate amount of structure. The technician also sharpens the edges and removes burrs leaving a sharp, smooth, face that will grip. This is also the point where any previously unidentified damage would be noted and repaired. Using our large grinder we take off only whats needed, leaving a perfect base to work from. 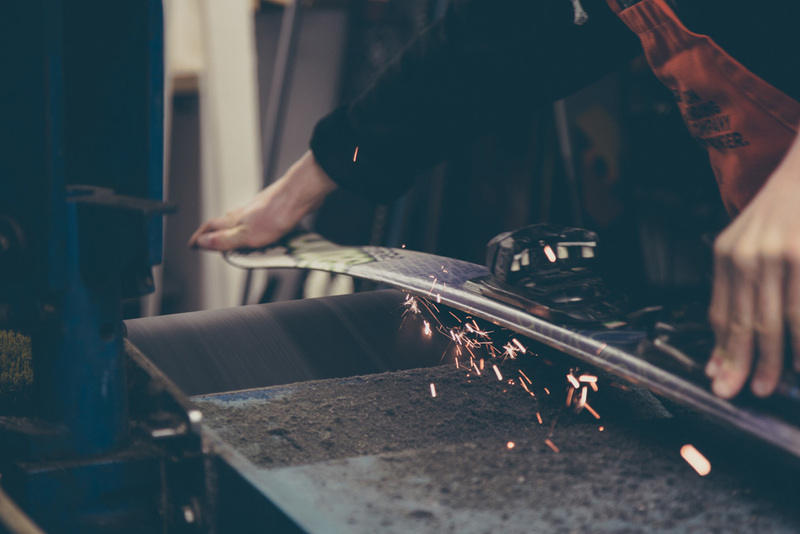 Depending on where you're going and what your riding style, is the technician will choose an appropriate wax and then melt it onto the base using a wax iron. The wax can be chosen for early season, super cold snow, or later season slushy snow and everything in between. The different wax formulas work to offer the most glide for their specific situation. Then the wax is worked into the base with the wax iron. This is where having the base prepped makes a huge difference. A base with good structure will hold wax longer and stop melted snow sticking to it. 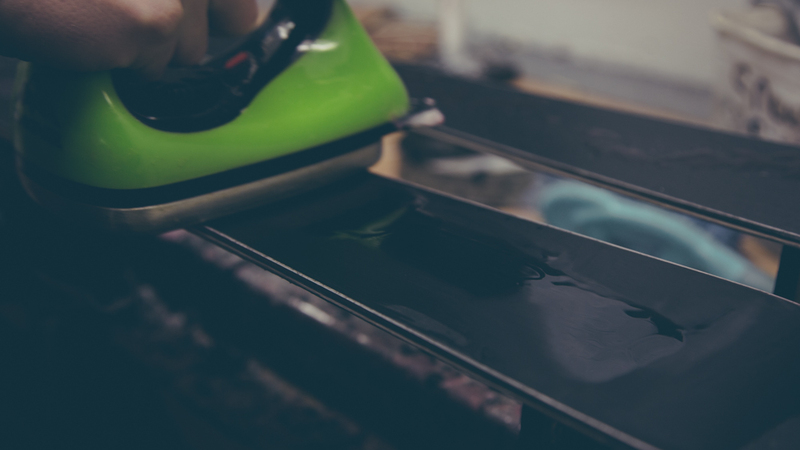 The wax is worked into the base evenly until the ski or board is warm to the touch on the opposite side. Then they are left to cool which closes the base ready for scraping. When the base has cooled down, we use a plastic scraper to remove excess wax. Too much wax makes the base rough and it won't slide. Finally, we polish and buff the base to leave the ideal texture. 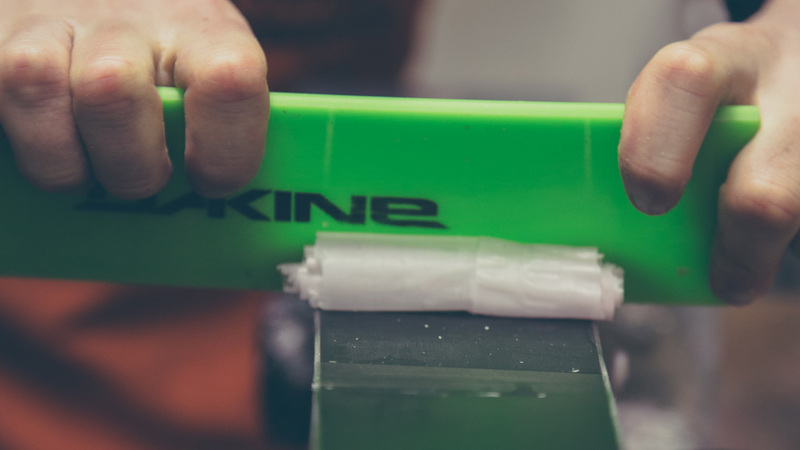 After the process is complete our technicians give each ski a quick inspection to make sure nothing is loose or seized. 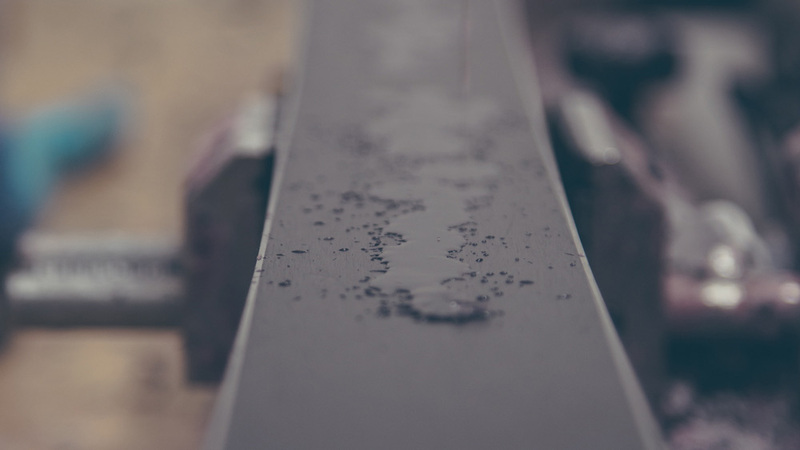 Once they're satisfied, the skis are ready to go! Depending on what you need our workshop team also offer Silver and Gold level servicing, and for small surcharge we can get them done super quick to make sure they're ready for your last minute holiday!